Allied Distillers Limited (ADL) is a subsidiary of Allied Domecq, one of the leading distributors of wine and spirits in the world. Operating mainly from sites around Scotland, ADL runs thirteen distilleries that produce the gin, malt whisky and grain spirit used in prominent international brands such as Beefeater gin and Ballantine’s Finest scotch whisky. For more than 35 years, ADL successfully used two generations of Alfa Laval decanters at its Strathclyde distillery in Glasgow. The performance of these decanters was more than satisfactory, and Alfa Laval equipment proved to be very reliable. 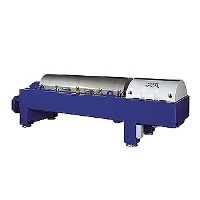 The first generation of these was installed in the late 1960s and formed part of the stillage handling plant, where four Alfa Laval P3400 decanters separated the solids from the spent wash going to the evaporation system. After 20 years, ADL installed a second generation of Alfa Laval decanters, replacing the reliable old workhorses with four higher-capacity P36000 decanters. The improved design of these decanters meant even less maintenance, and resulted in longer run times and lower operating costs. A family of G - Alfa Laval's complete series of fuel ethanol decanters designed and built for ethanol producers. SG2 is the producers choice for ethanol production. 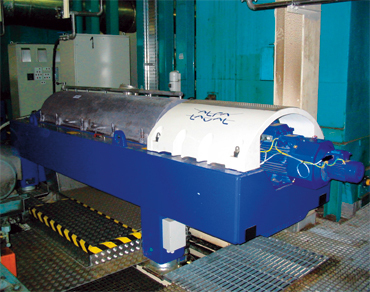 Alfa Laval understands our needs and always finds the solutions necessary to meet our process requirements.